Distributor for Glassfloss Industries, Inc. 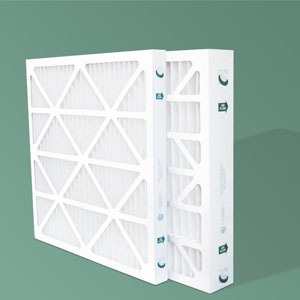 The Glasfloss Z-Line Series MR-13 pleated air filter features the latest in media technology to achieve MERV 13 while maintaining low-pressure drop and good service life. The new Z-Line Series MR-13 pleat is optimized for “LEED” compliance in new and existing buildings as well as providing a cost-effective upgrade from lower efficiency pleated filters for a variety of commercial and industrial applications. The Z-Line Series MR-13 pleat is available in many standard face dimensions in 1”, 2″ and 4″ depths.